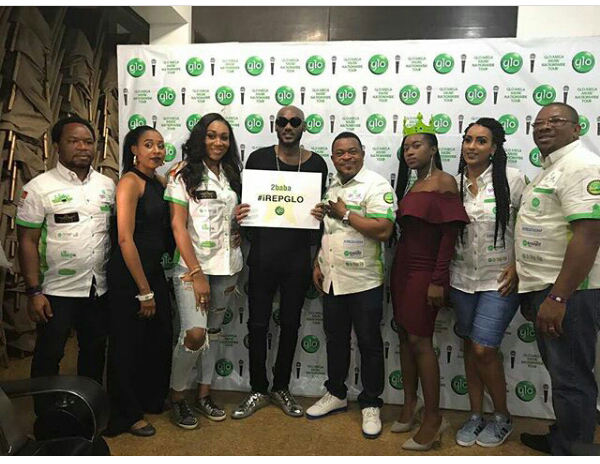 Home / Celebrities Gist / Entertainment / Tuface Idibia Joins The League Of Glo Ambassadors! Tuface Idibia Joins The League Of Glo Ambassadors! Nigerian RnB singer, Innocent Idibia, popularly known as Tuface or 2baba has been unveiled by Globacom as the newest member of the Elite Club of Glo Ambassadors. It's definitely good news that the humble musician has also joined the league of Glo Celebrity ambassadors. Other Glo ambassadors are: Ime Bishop (Okon), Funke Akindele, Flavour, korede Bello, Nadia Buhari, Reekado Banks, Omawunmi, Patience Ozokwor (Mama G), Hadiza Blell(Di’ja), Ego. Yvonne Nelson, M.I, Sessime, Basketmouth amongst others.